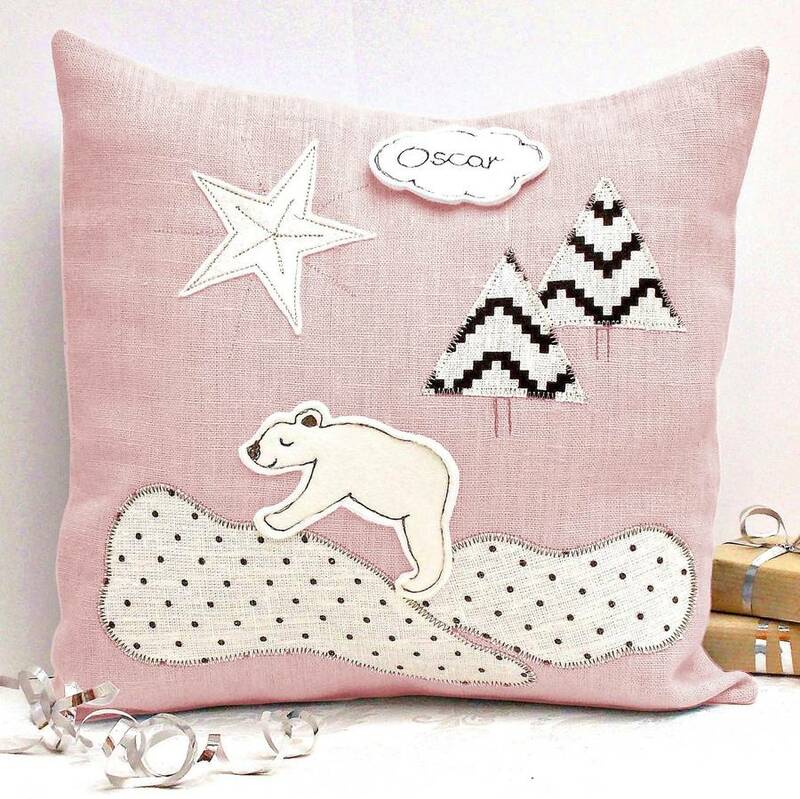 A gorgeous children’s cushion for the nursery or child’s room which makes the perfect children’s christmas gift. 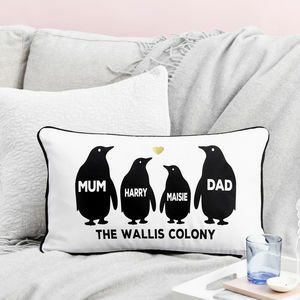 This adorable children's cushion features a hand sewn cloud personalised with a child’s name, set against a modern, monochrome winter scene. 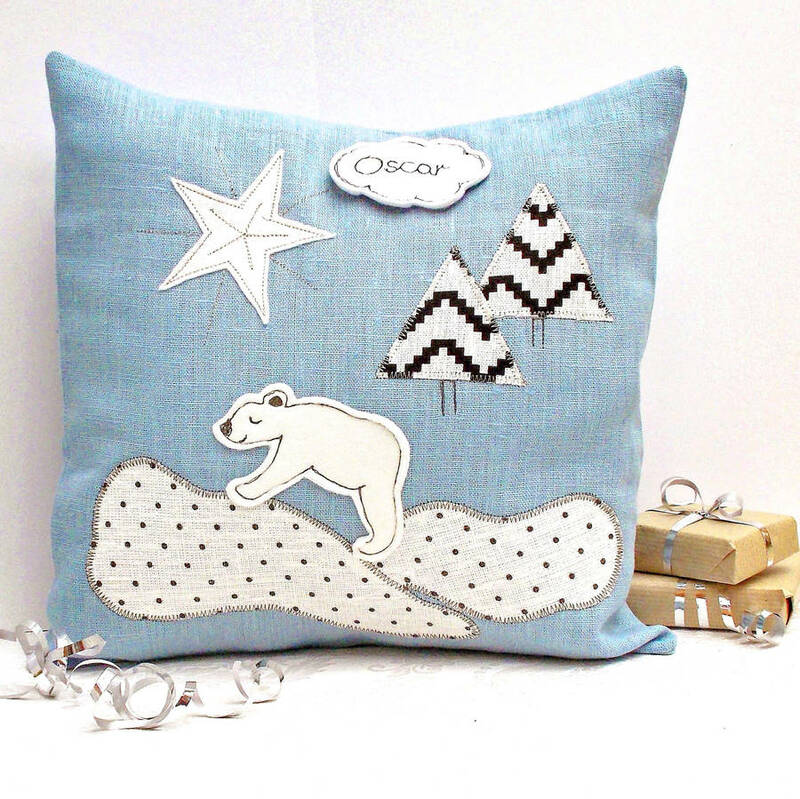 The winter scene contains a polar bear, chevron mountains and a star and is the perfect christmas present for babies and children. 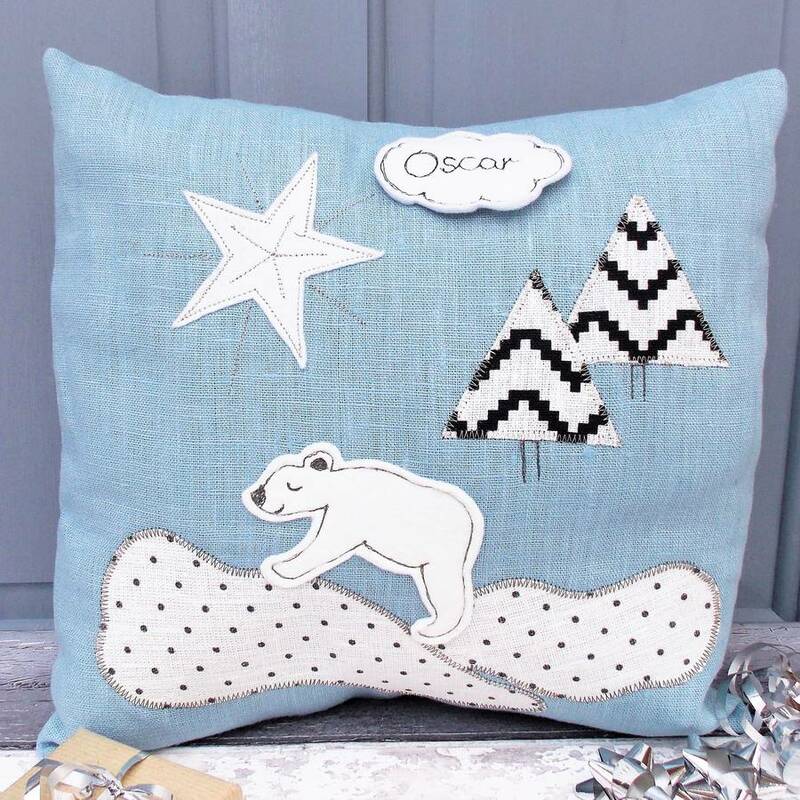 Handmade by Pipany using the highest quality fabrics, this cushion would make the perfect keepsake for a baby’s first christmas which would be treasured for years to come. 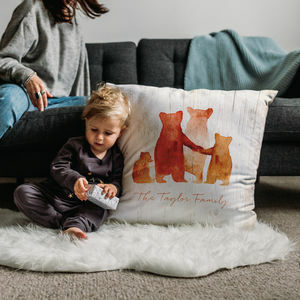 This personalised cushion would also make the ideal gift for a baby shower with the cute, unisex design making it a great new baby gift. The colour scheme of this Scandi cushion with its soft, muted blue or pink background makes it the ideal cushion for a modern nursery, or equally at home in a more traditional nursery setting. 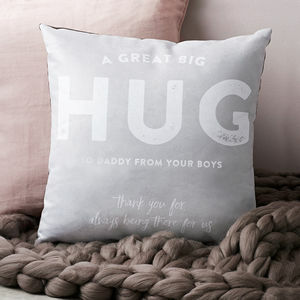 This gorgeous personalised cushion is available in either blue or pink. Please choose the required option on ordering. 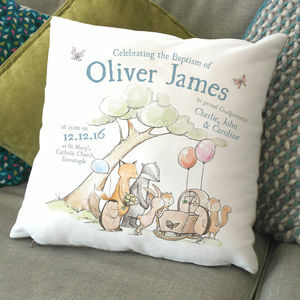 The base of the personalised cushion is made from high quality cotton-linen fabrics whilst soft felt is used for the personalised cloud. Hollow fibre cushion pad included. The personalised baby cushion measure 36cm x 36cm approx (14" x 14" approx) - the perfect size for your nursery chair.